Ray has been coaching for 24 years. He has coached at the Pee Wee, Bantam, Midget, High School, CJFL, CIS and CFL levels. Throughout that time, Ray has been part of 14 Division Championship teams, 9 City Championship teams, 4 Provincial Championship teams and 1 National Finalist team. He has been a Quarterback Coach, Runningback Coach, Receivers Coach, and Offensive Co-Ordinator. 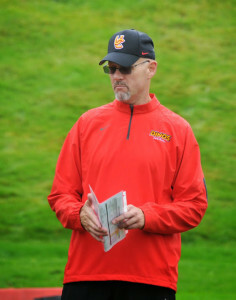 He is currently the Runningback Coach for the University of Calgary Dinos.